If you’re a gamer who is into retro type games in particular then you might be interested in JogoBox. This new free application provides a way for you to download classic games at no cost. JogoBox’s massive library encompasses thousands of games, including titles such as; Civilization, Tomb Raider, Super Mario, Tetris, Bejeweled, Counter Strike and Command & Conquer. All downloaded games are maintained in a centralized personal library for quick and easy access. 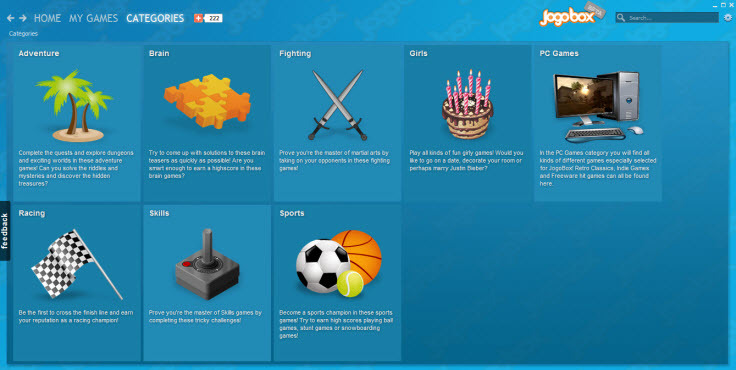 JogoBox not only features the newest browser games, but also fully installable PC games. 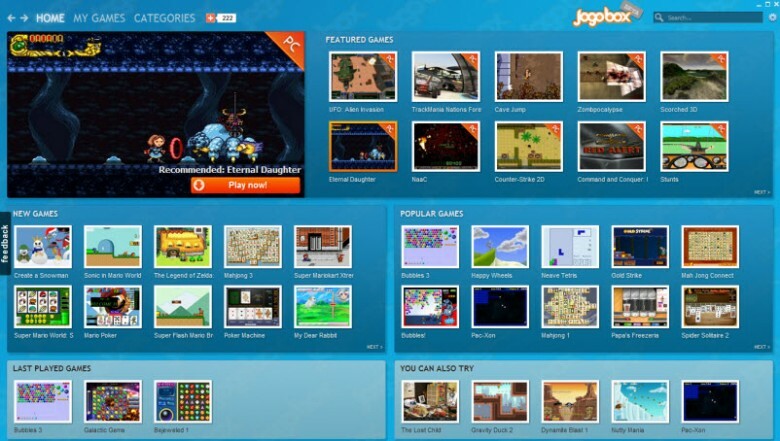 Whether you are looking for the newest Flash games or want to return to the golden age of classic PC gaming, in JogoBox you’ll find the perfect games and install them in no time. Can’t find your favourite game? Keep an eye on the welcome page, because new games are added to JogoBox on a daily basis! JogoBox supports Window XP, Windows Vista, Windows 7 and Windows 8 (32-bit and 64-bit). JogoBox is currently in Beta but I didn’t experience any issues during testing on a Windows 7 Home Premium 64-bit machine in Sandboxie. Prev:You bought an iPad. Now what?